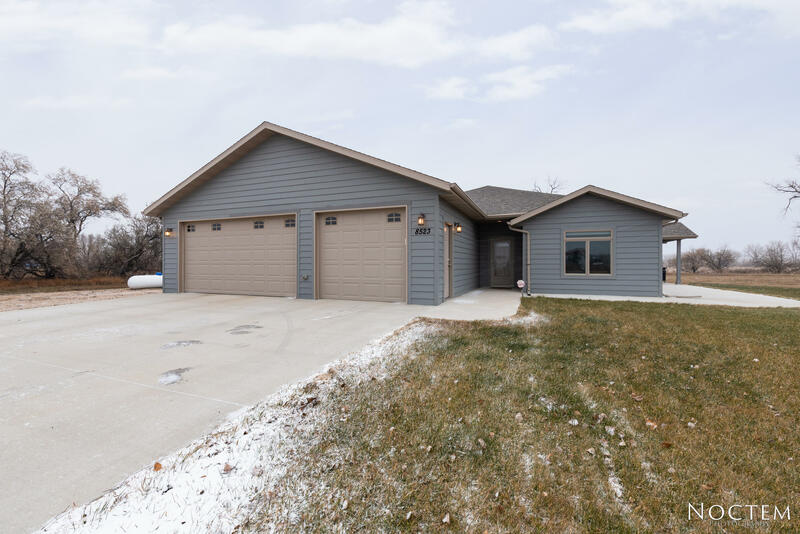 Slab on grade Patio home located in NW Rural Bismarck with numerous upgrades. 6 panel doors, upgraded appliances and fixtures, hickory flooring, heated tiled bathroom floors, arched doorways and more. 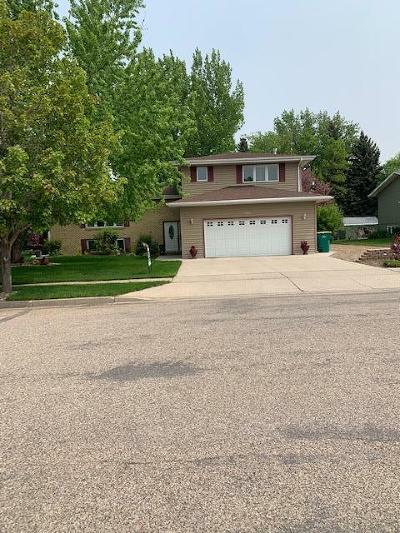 Wonderful 2 bedroom 2 bath home featuring an open concept! The kitchen offers a large center island, hickory cabinets, walk in pantry, recessed lighting and HD countertops. Open to the living room with a gorgeous fireplace wrapped in stone and the dining room offers patio doors leading to a nice sized patio. The master bedroom offers tiled walk in shower w/ Haider glass door, heated floors, large vanity with dual sinks, and huge walk in closet. There is a patio door w/ access to a large exterior patio w/ sprinklers that surround the perimeter of the home. An additional bedroom also has walk in closet and is adjacent to the main bathroom with tiled tub/ shower combination and heated floors. The triple garage is fully finished, heated and has storage. Great home! See this one today.